Excess weight is not healthy and obesity definitely is not healthy, right? As a person grows older, there is a tendency to lose muscle mass, and it can get replaced by body fat. There is also a tendency to lose height while maintaining a stable weight as in the case with “mom” above. As people age, they may accumulate more “protective weight,” weight that can be a reserve against unintentional weight loss. Among the young obesity is associated with adverse health impact in the form of risk of hypertension, diabetes, heart disease, certain cancers and a negative effect on most organs of the body…and reduced life expectancy. Yet, some older people who are patently obese have dodged these ill effects. These are also part of the “obesity paradox.” The fact is that a lot of their younger cohorts may already have succumbed to disease before they got so old, not unlike the octogenarian who has smoked a pack of cigarettes a day and continues to smoke without any seeming impact on their health. So, should mom lose weight? If it is all weight around the mid-section, weight loss is called for. Appreciate that any weight loss regimen is likely to result in loss of muscle as well as fat and therefore deconditioning. 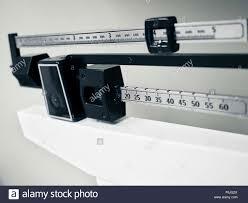 The rule is that weight loss in the 5 to 10 percent of body weight range tends to have positive effects. Also, weight loss that owes to real life style changes such as diet and exercise are positive. This kind of program should also include sufficient intake of protein to be safe. The American College of Sports Medicine also recommends exercise at least twice a week. This exercise should include strengthening exercise and resistance training. They identify what some call “muscle confusion” training which simply means changing up the regimen frequently to encourage a more nimble and flexible gait, balance and core strength. It is also helpful to involve your older loved one’s primary care physician to assure that their medications do not introduce issues of balance or body hydration. But beware of the physician who cautions against exercise for a “person of this age.” Don’t let them discount mom because of birthdays. Get a second opinion. And remember that it ultimately is about quality of life…and a healthy weight.